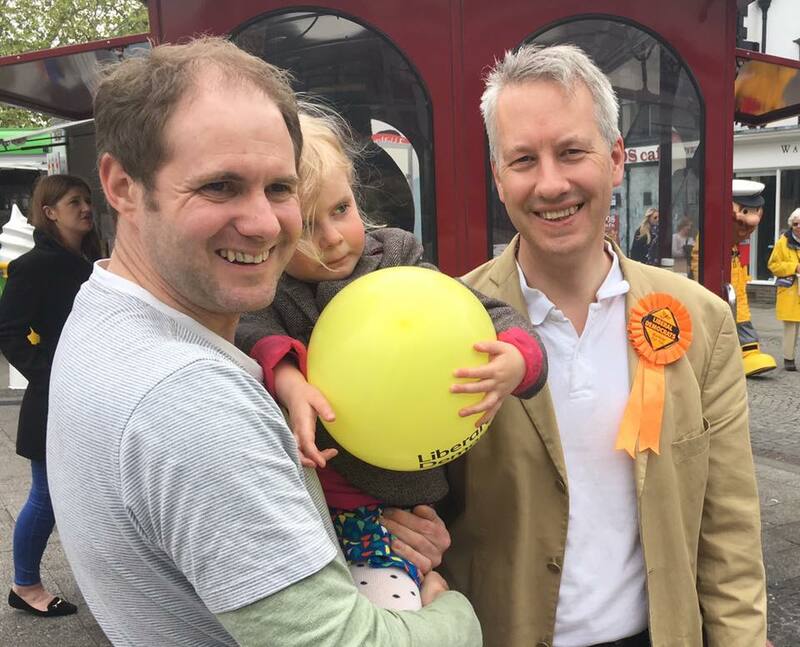 Local Liberal Democrat Gideon Amos, who lives with his wife and children in Staplegrove Road was re-elected on 7th April by Taunton Deane local party members as their Prospective Parliamentary Candidate. Mr Amos, who grew up and went to school in Somerset, led the LibDems on Oxford City Council, is a former Chief Executive of the Town and Country Planning Association and was awarded an OBE for services to sustainable development following his work on green housing and energy projects. Gideon Amos said "I am delighted to have the opportunity to represent people in Taunton Deane. It will be a privilege to put forward a positive new agenda, campaigning to keep our Royal Marines here in Taunton, reversing cuts to our local schools, standing up to this Government's removal of the LibDems' free school meals from 160,000 children and raising more funds for social care and the NHS from taxation. To strengthen our economy and tax base it's vital we continue to trade freely with Europe. No other party is speaking the language of common sense on these issues and there is a huge gap that we have a responsibility to fill." Mr Amos added: "I stand squarely in the Liberal tradition of Somerset where I grew up and providing the opposition Britain needs really matters to people across the Deane”. “The planet needs to be put back at the centre of our politics, including reviving the zero carbon homes programme, cancelled by the Conservatives. Nationally LibDems are the only ones who challenge the cosy two-party system stitch-up that we have in the UK. In Parliament LibDems are the only Party which recognises how disastrous it will be for people to lose their rights to travel and trade freely and will give them the final say on any Brexit deal, instead of leaving it all to a few Ministers." 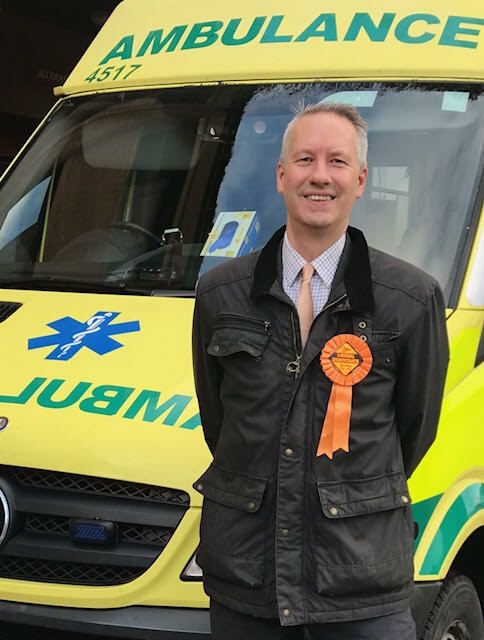 Mr Amos scored second place in the 2017 General Election with just under 30% backing him, but increased the LibDem share of the vote by 6.3%, the biggest increase in vote share of any party in the constituency. “Locally LibDem councillors are the only ones providing challenge and opposition on the Conservative Council - for example on the spending of millions on a merger 'transformation' with an indebted West Somerset - a project for which there is no mandate from the public. Locally we want to see higher quality jobs and homes that are affordable to our local people, rather than soulless estates of houses beyond the reach of many and without the infrastructure they require." In a break with the past the new PPC wants to see new and different LibDem policies at the next General Election: "We need not just to invest in schools again, but to provide free higher education and training to enable young people to get the debt-free start in life they need." He backs Vince Cable's idea of an £18,000 credit for every person to spend on post-school education or training of their choice, at any stage in their life. Local party Chair Dr Mike Owen said "The Taunton Deane Liberal Democrats warmly welcome Gideon as their PPC. He has worked tirelessly for the constituency for many years and has been instrumental in increasing the local party membership. His enthusiasm for the constituency is widely recognised beyond the party and he will I am sure have a significant impact both as a PPC and as future MP."